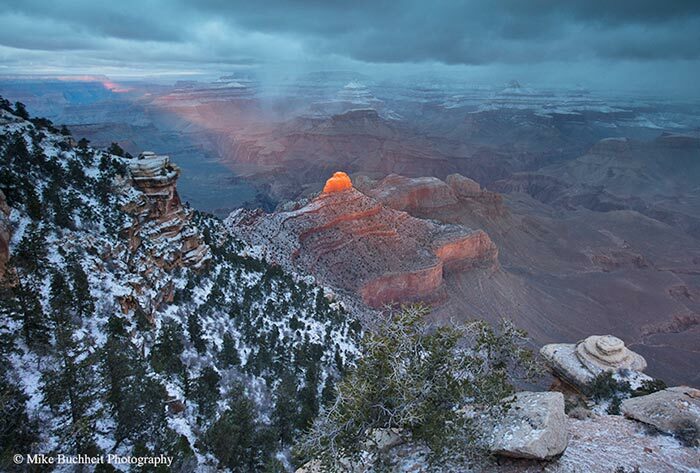 A record six million visitors, a change in park leadership, and the National Park Service Centennial activities were but a few of the noteworthy events in a busy year at Grand Canyon National Park. In addition to headline makers, visitors were treated to another week of plein-air painting during Grand Canyon Association’s Celebration of Art and enjoyed a Grand Canyon History Symposium sponsored by the Grand Canyon Historical Society. Backcountry enthusiasts congratulated the latest backpackers to complete an end-to-end canyon hike, including local Jamie Campos, and National Geographic writer/photographer team Kevin Fedarko and Pete McBride. From a wintry New Year’s Eve in Grand Canyon Village, I’d like to wish everyone a safe, enjoyable, and prosperous 2017. May your travels bring you back to your Grand Canyon National Park.